Nothing will grow your website traffic much better than good content. No matter if it is blog posts, video or audio (or a mix of all 3) you need to regularly publish good content. Good content encourages site visitors to share your blog posts - by using social media and hyperlinks on their own blogs and websites. This social sharing by your visitors has a higher weight than any type of paid advertisement could ever carry. By taking the time to engage unique visitors your website will take advantage of increased website traffic. An engaged community will gladly share your content and also refer new site visitors to your blog. This is a preferred one. how should you do this? Firstly, a guest blog post should only be done on a well-known website such as business.com, mashable.com, webringideas.com, smashingmagazine.com, yourstory.com etc... And it must be your best stuff. An average blog post will bring average results. Post an engaging piece that adds real worth to the website you are contributing to. This will assist you to get another opportunity to publish. And give a lot of thought to your biography line. A well-written biography will help encourage visitors to click through to your website. Along with posting good guest blog posts, it's very important to approve guest blog posts. This assists expand your base of content and take some writing pressure off of you. Make sure to post a clear set of blogging guidelines - this will help in reducing the several low-quality blog posts that you will get. It is Very similar to forum marketing, but it is a different platform. Most of all blogging platforms such as Blogspot, WordPress etc.. you can find a specific field to enter your website address. If your comment catches a visitors attention, they will click on the hyperlink and visit your website. Make sure not to write comment spam. There is a need for attention when sharing websites in the comment itself. Several bloggers do not take well to this, as it comes upon as a blatant attempt to siphon their website traffic. Unless the website link you are submitting directly replies to a question, it's best not to do it. Another advantage to blog site commenting, even if you do not get lots of site visitors, is that the google search engine see the link and your website gets a small increase. If you submit sufficient comments on sufficient distinct blog sites (various domains) after that you'll see an increase in website traffic. When most people first register and start using Twitter it can be difficult to see how it could ever bring traffic. As time goes on Twitter quickly turns into a main source of traffic. Numerous blog sites use automation tools to feed URLs and previous blog posts to their Twitter account. A favorite of mine is called Tweet Old Blog post. It takes a previous post and tweets the title as well as URL to your account. 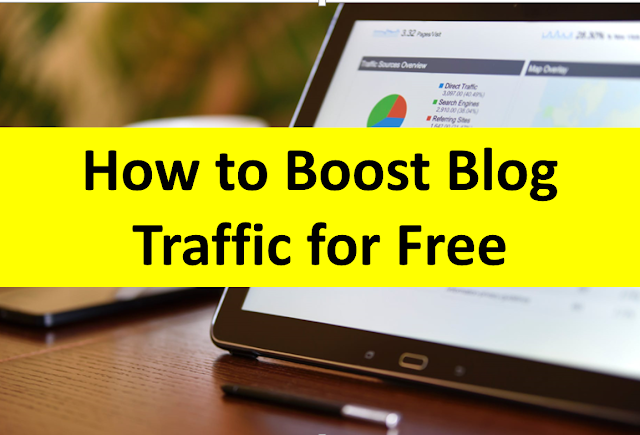 Several blog sites produce hundreds, even thousands of new site visitors every month applying this easy WordPress plug-in. Sneha is a blogger at We Bring Ideas and a web developer who love to share her ideas with others through my blog. She has helped many brands to build their online presence.